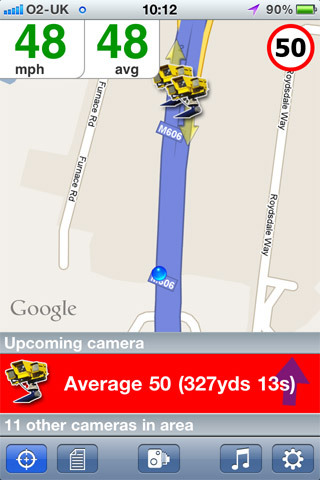 CamerAlert is a self-contained Speed and Red Light Camera warning system using data from the renowned PocketGPSWorld.com Speed Camera Database. It provides both audible and visual warnings as you approach a camera. Uniquely, when you are in a section of SPECs (Average Speed) cameras, CamerAlert displays your average speed between each camera in the zone. CamerAlert also utilises directional information to reduce the number of “False Alerts”, you are only warned for cameras that monitor your direction of travel. 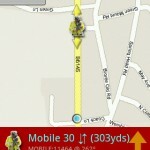 CamerAlert works in two different modes: Map and List. In Map mode the main display is a map with the cameras positioned on it. This can be shown either as “North Up” or “Course Up”. 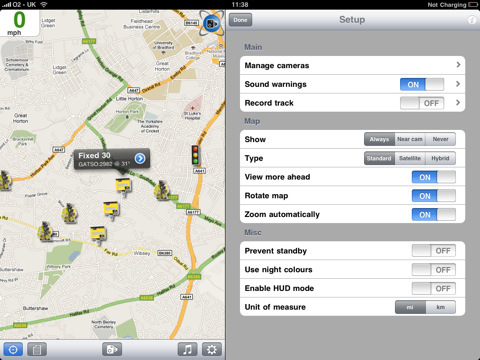 The list mode simply shows a list of all the cameras in the area, highlighting the ones that you are approaching. 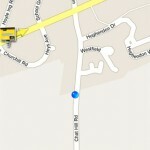 CamerAlert requires an Android GPS capable device. It will not function on a device without a GPS connection as it requires a GPS receiver to accurately determine your position (this can be either built in to the device or an external bluetooth one). The moving map requires a data connection so users without data capabilities will have to run the app in list mode unless they have data access via a MiFi or similar external data device. 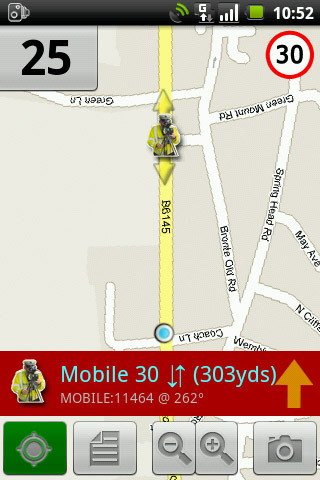 CamerAlert is compatible with all Android devices with OS of 1.5 or above. 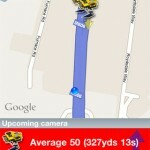 CamerAlert is also compatible with the Parrot Asteroid system. If you require this version then please contact us directly as there is no Android Market for this device. 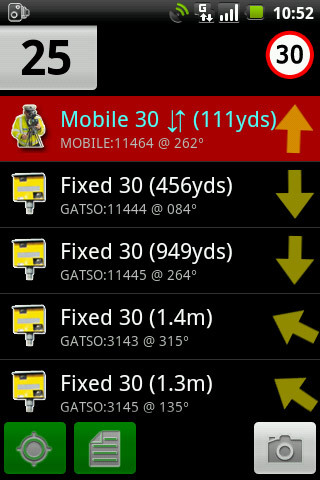 IMPORTANT: CamerAlert comes preinstalled with a demo Speed Camera Database only. To ensure you have the latest camera data we offer a Latest Database Guarantee which allows for one download of the latest updates after product registration at no extra cost. Please ensure you make use of this offer and download the very latest live data to fully appreciate our service and the quality and accuracy of our database. PocketGPSWorld subscribers can use their annual membership to keep the camera data up to date by linking their member details in the app. If you are not an existing subscriber you can subscribe in the app to ensure access the our regular updates. 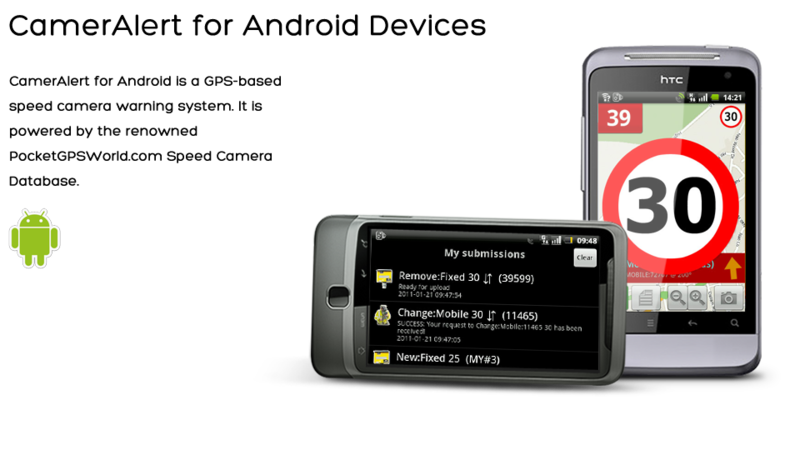 A subscription can be used on other GPS devices and Android / iOS smartphones (maximum of three devices). 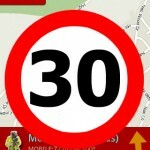 Another feature, unique to this app, is that the latest data can be downloaded over the air at any time to ensure you have the most up-to-date speed camera information available at all times. 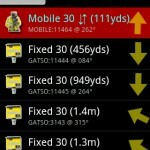 If you see a camera that is not in the database then you can report it using CamerAlert. This feature can also be used to change information about a camera already in the database i.e. changing speed or direction information. You must register the App to submit cameras. The use of a speed camera warning device may not be legal in all countries and territories. Users are reminded that it is their responsibility to check the legality of such a device before use. Works perfectly and seamlessly on my Samsung Galaxy S2. Very useful. The autostart feature works brilliantly. Would like it to start completely invisibly but it does start as process in foreground, not a problem as can dismiss it with a press of the back key. Excellent! 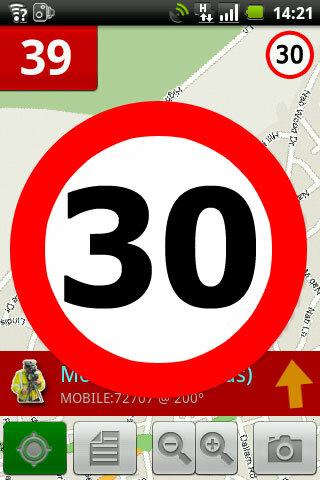 Excellent warning system with useful average speed notification. 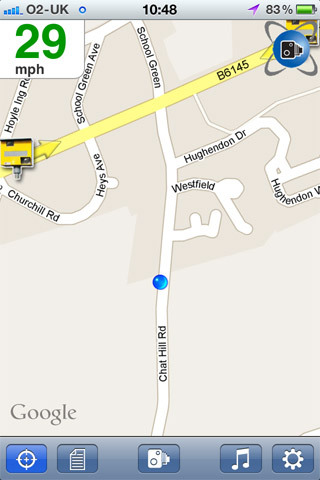 I run it in background and have Satnav running on the screen. Good customisation.